Every day is a ball in the wonderful world of Club Penguin, with its cool calendar of birthday bashes and fabulous social events. 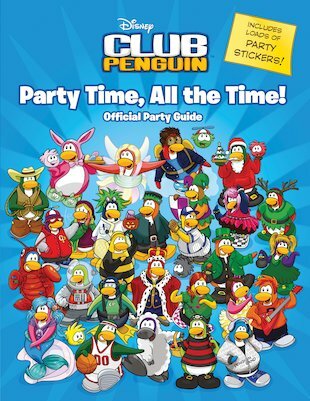 Get in on the action with this party guide, full of amazing pictures and reports from Club Penguin’s most unmissable shindigs. Inside you’ll find interviews with your favourite penguins, information on the exclusive clothes and costumes that party-goers wear, and advice on how to get some cool clothes of your own! Use over fifty stickers to highlight those all-important party dates on your calendar – and find out how to throw your very own awesome celebration!